The East West Balance Acupuncture clinic wanted to represent both the traditional Eastern influence and at the same time maintain a Western medical/modern look. The site not only achieves this, but also has helped them increase their business through better search engine visibility. 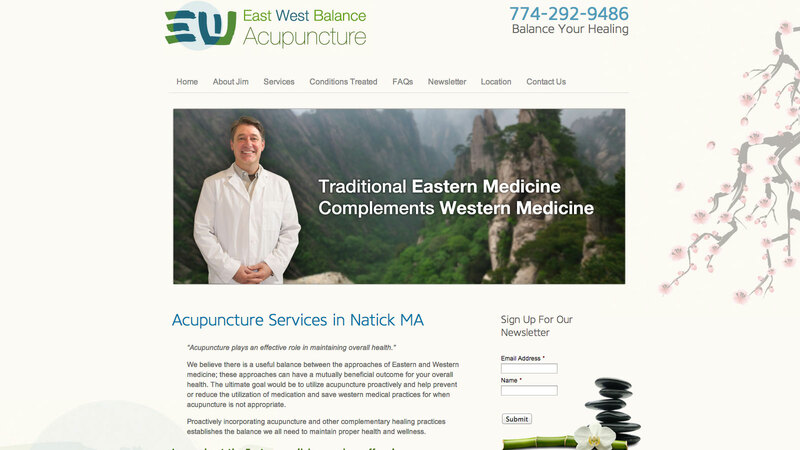 Visit this Wellesley acupuncture website.